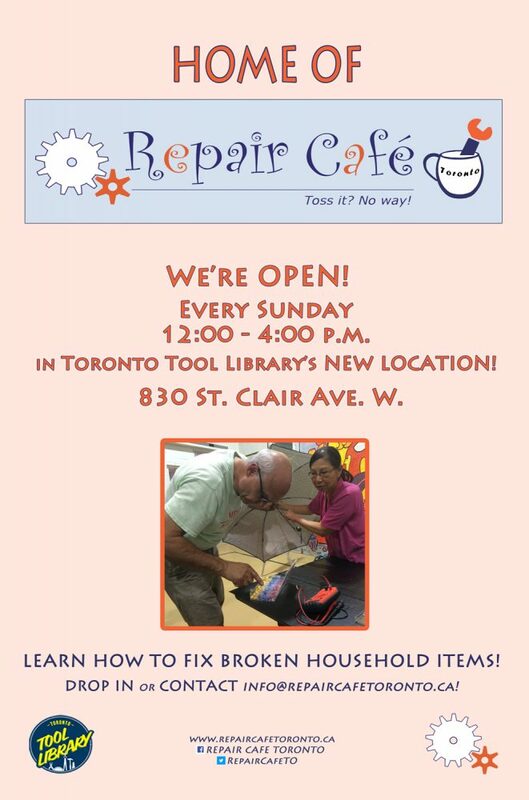 We’ve found our first home, snug in the Toronto Tool Library’s new location at 830 St. Clair Ave. W.
We’ll be open every Sunday from 12 – 4 pm. 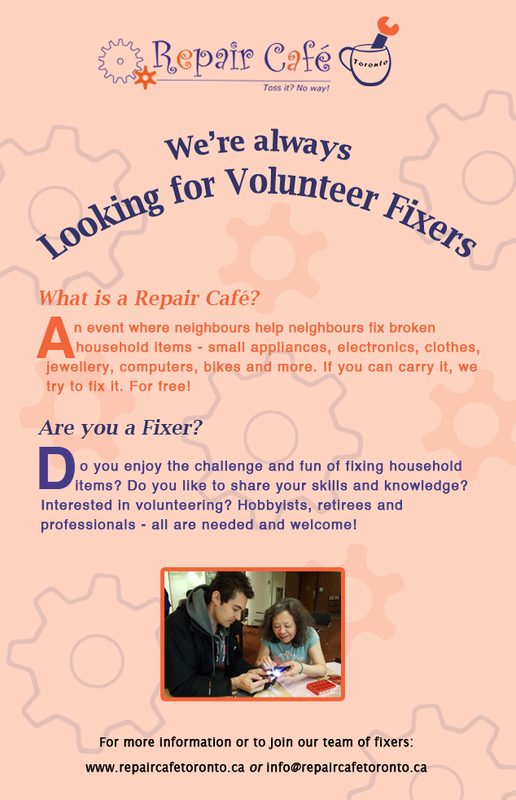 with a few fixers to help you try to fix your broken household item. To start, we will focus on Small Appliances and Home Electronics. Check here or our Facebook page to find out what we are fixing each week.